Artificer - The Science Of Magic! A survival RPG all about crafting MAGIC! An indie PC game focused on spellcraft, alchemy and thaumaturgy soon to launch on Steam Early Access! Experience the story of a marooned space ship science officer who has to delve into the dangerous world of magical research in order to survive. Craft powerful spells, brew potent infusions, and perform occult rituals. Crashed on the alien planet you have only your wits to defend yourself against deadly creatures and evil spirits. Master sorcery, thaumaturgy, golemancy, alchemy, divination and witchcraft to become a prodigy of mystical powers. Explore Alcor - the strangest planet in the galaxy. Conduct biological research andd elve into dungeons and ruins to discover arcane secrets. Experiment and tinker to secure your place on this strange world. 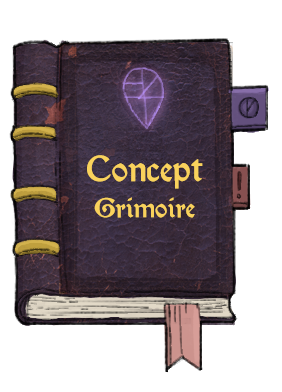 Embark on adventures to gather resources and turn them into powerful magical items. Automate both crafting and harvesting with the help of magical constructs. Create potions, weapons and armor and imbue them with arcane power. Gain knowledge points by exploring and experimenting. Use them to unlock arcane secrets in research minigames. Complete missions to further your understanding of magic. Dissect monsters to learn their weaknesses. The further you venture out from the crash site the more dangerous the area becomes. Prepare yourself well to return from your adventures in one piece. Discover myriads of fauna and flora species whose evolution was influenced by magical powers. Want the game made? Help us!